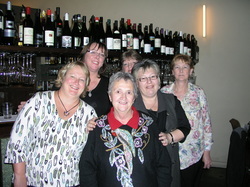 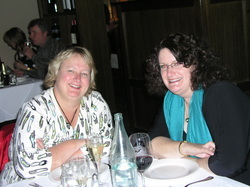 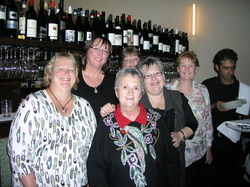 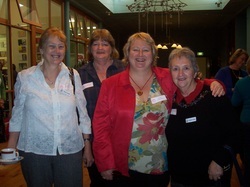 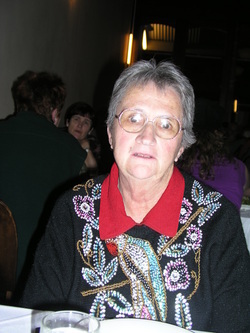 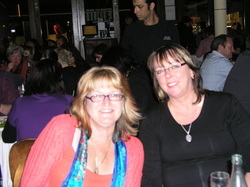 Four members of the MRWG flew to South Australia to attend the SARA (South Australian Romance Authors) conference in May 2010. 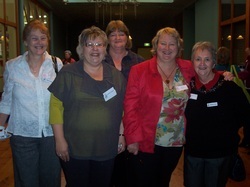 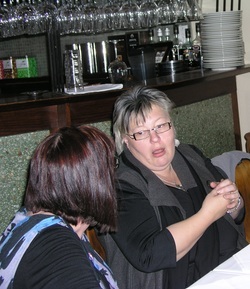 This conference is a Romance Writers of Australia (RWA) Roadshow and runs for one day. 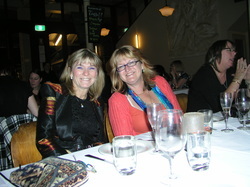 We all learned heaps, had a ball, and have vowed to return next year! 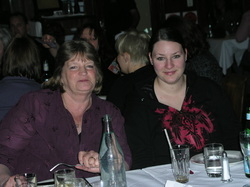 Presenters were multipublished romance authors Anna Campbell, and Yvonne Linsday and they were fabulous! 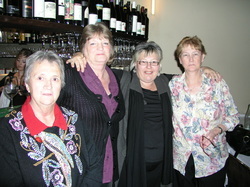 (left to right) Cheryl Wright, Charlie Kramer, Margaret Midwood, Anna Campbell, Margaret Tanner. 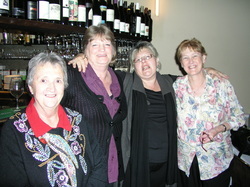 (left to right) Cheryl Wright, Margaret Midwood, Anna Campbell, Margaret Tanner. 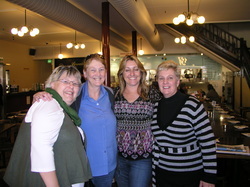 Catching up with writing friends from SA on Sunday!